Welcome to Soundfly! 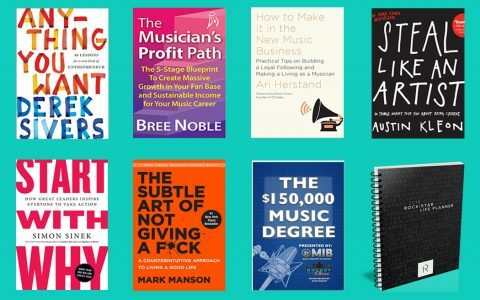 We help curious musicians meet their goals. If you’re musical and like learning stuff, sign up for Soundfly Weekly with tips, interviews, articles, prompts, and even the occasional sharp nine flat thirteen! In the past couple months, a number of musicians have come to us looking for help with their “brand.” Many of them had questions about what branding even means. It’s not too surprising — “brand” is one of those words that’s thrown around a lot these days, but can mean different things to different people. It can refer to your imagery, your logo, your design, your language, your values, or the entirety of your business activities. How are we meant to know what to do with such vagueness? The most compelling definition I’ve heard of one’s “brand” is the story you choose to tell the world about what you’re doing. It’s how you communicate who you are in everything you do. I’ve had a lot of fun mentoring a couple students now through our Headliners Club program on the development of their musical brands. Below are a couple different approaches that we explored around how artists can find and develop their own brands. If you want to work with one of our expert Soundfly Mentors on your marketing, branding, or business goals, feel free to sign up here. One approach to building a successful brand comes from Simon Sinek, whose book Start with Why was a bestseller when it was released in 2009 (shout out to another Soundfly Mentor Angela Mastrogiacomo for the link). Sinek suggests that most companies only communicate what they do — i.e., “we make flying umbrellas” or “we’re Airbnb for squirrels” — but the most successful ones communicate why they’re doing it instead. The presence of the why takes what sounds like a pretty useless idea, and suddenly makes it sound not quite so unreasonable. When you have the answers, look for ways to communicate that why to fans, whether in your website, your social media platforms, your stage presence, or your album covers. One example of an artist who I feel has a really clear why is Lady Gaga. Her brand is all about celebrating difference and personal liberation. She expresses that why through her songs and lyrics, but also through her performative outfits, her willingness to redefine herself constantly, and her support for causes built around individual empowerment. Her brand is tied together by her why. “The Golden Circle” is from Simon Sinek’s book Start with Why. What can you do best in the world? What drives your economic engine (i.e., what will people pay for)? The idea of a company’s “hedgehog” comes from the parable of the fox and the hedgehog and is used in Jim Collins’ book Good to Great. I’ve also had some fun applying this approach to personal development, as well as art and music. 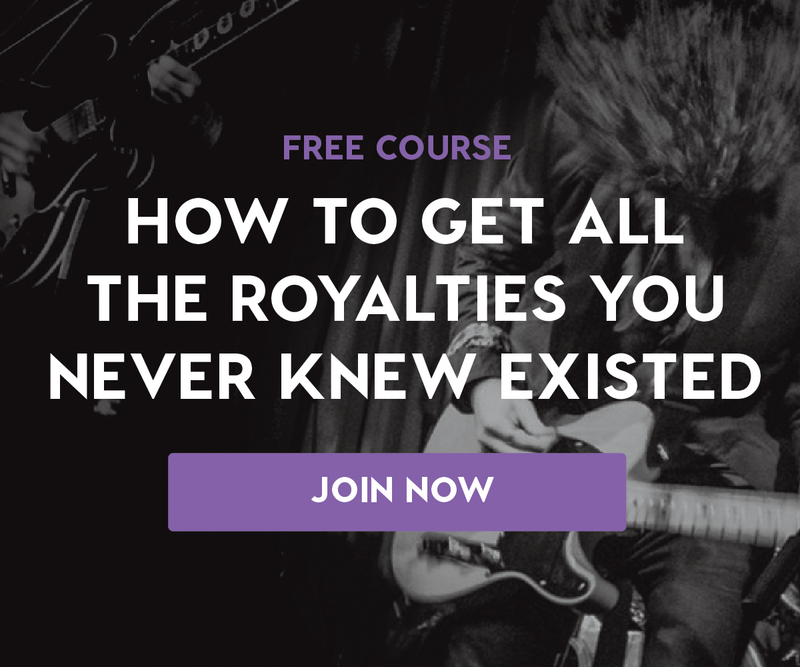 Finally, think about what parts of your music will be most likely to drive your growth. For musicians, this is most likely going to be your music, but the more specific you get, the better. Is it Patreon subscribers, elaborate national tours, or album sales? Collins specifically encourages you to think of this as “profit per X” where X could be anything, such as profit per track released or profit per show or profit per hour I spend on the Internet. As you look at all your answers to the above questions, are there places where all three overlap? For instance, if you find that you’re passionate about connecting with people and performing, you think you can be best in the world at ukulele covers, and your best money maker is a small group of dedicated fans (profit per fan communication), then you might want to consider building a brand around YouTube covers for Patreon supporters. This arguably gets more into strategy than simply branding, but the questions themselves are an interesting brand building exercise to help unearth some of the parts of your art that are unique to you. There are a few common threads that you might be noticing so far. First of all, the most successful brands are always authentic representations of the people creating them, especially when it comes to musicians and artists. Don’t be contrived. Second, knowing why you’re doing what you’re doing is a great place to start. This is arguably critical in any career choice, but even more so in music in order to figure out a path that is most well-suited to you. Finally, having a theory for what makes you unique is one of the most important elements of any brand-building exercise, since it will make sure that you’re doing something that has the chance to stand out. In other words, it will protect you from being too boring or conventional. That said, it still might be a little vague how to actually turn this stuff into a coherent brand, so we’ve created a step-by-step list for you below. 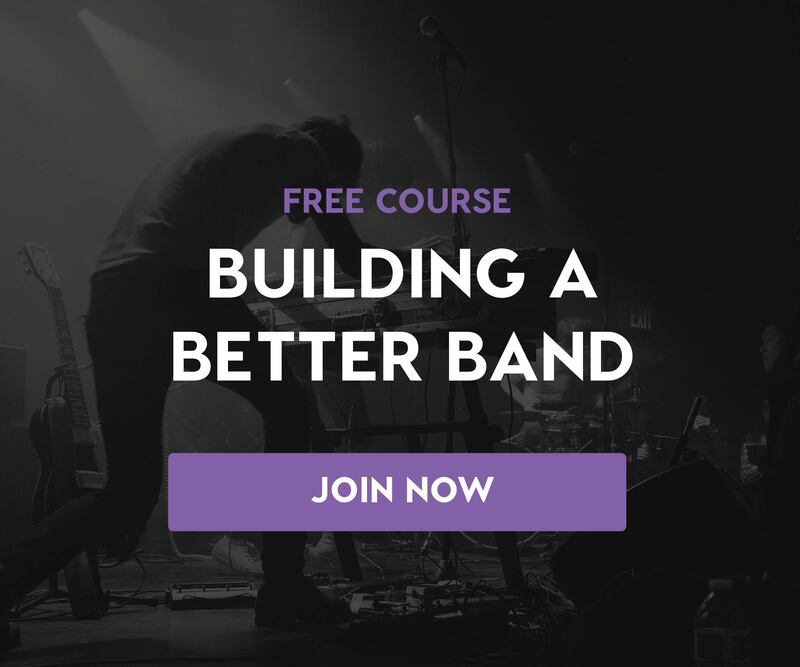 If you’d like to work through these activities with the help of a Soundfly Mentor, sign up for the Headliners Club and get feedback and personalized support as you go. Step 1: Find 3-5 other artists you admire and define their brands. Cruise your music library and make a list of some of the artists who most inspire you. How would you define or describe their brand? How do they communicate that brand in the activities they do, whether their music, stage show, merch, website, etc.? Make a list. Step 2: Define what makes you unique in no more than two sentences. This will be your core brand statement. Use one of the approaches above to define what it is that makes you and your music unique to the world. It should undoubtedly contain elements of why you’re doing this and should feel authentic to you. A possible example might be: “Oklahoma! Octopalypse is a death metal band performing covers of 1950s musical theater songs in underwater-themed animal costumes. Our music marries a love of creative performance with an appreciation of our shared musical legacy.” You can think of this as your value proposition for what you’re offering the world that no one else is doing. This core realization can be something that you revisit on occasion and that, together with your core values, you use as a litmus test to help you with important decisions. Should you take that gig you’ve just been offered? Turn to this statement and your values to see if it fits. One thing to note: Don’t spend too much time on the exact language — this doesn’t need to be something you share externally. The intention is more to help guide you and your bandmates and make explicit the assumptions you’re already operating under. Step 3: Define 3-5 core values that fit with your brand statement. These are the things you as an artist care about most of all. In many ways, they should evolve right out of your two sentence statement around what makes you unique. For instance, in the example above, the artist might choose: “Commitment to unbridled creativity, over-the-top performance, genuine appreciation of musical theater, and disrupting expectations.” Other values you might feel represent you are ideas such as pushing musical boundaries, creating personal connections with fans, experimentation, fun, etc. These are the things that are most important to who you are. It’s okay if some of these feel a little generic at first, as long as they are authentic to you and who you want to be as an artist; you can get more creative in how you choose to implement them. Step 4: Define your brand’s tone of voice with 3-6 keywords. To round out your brand guidelines, take your brand statement and your values and choose a few words to describe the tone of voice that you will use to communicate them. I find that this is the part that evolves the most over time as we discover new ways to communicate who we are creatively, but it’s still worth writing them down. Is your brand tone uplifting or dark? Is it ethereal or down to earth? Brainstorm a list of a bunch of words and then narrow it down to the ones you keep coming back to. Put these together with your statement of difference and your values to create a branding guide for you as an artist. Our underwater death metal musical band might list: “wacky,” “light and dark contrasts,” “weird,” “disruptive,” and “loud” as their key brand tones. Ta-da! Now you have a set of branding guidelines that you can share with collaborators, label reps, or designers you work with to help them understand you better. As we’ll see in a minute, you can also use this to guide your own actions going forward. Step 5: Make a list of all the key activities you do as an artist, and then how you can adjust each one to better reflect your brand. Final step: Let’s operationalize this! To do that, one approach is simply to make a giant list of every activity you do as a band — your music, your merch, your stage show, your social media, your email list, etc. — and then brainstorm beneath each item how you might be able to incorporate your new branding guidelines into that activity. This is also another good moment to go back and revisit the artists you admire and see how they did this for ideas. Let’s go back to our friends Oklahoma! Octopalypse for a second. They might list running a merch table as an activity of theirs. Given their values and their tones, they might choose to design their merch table to look like a fish tank (performative and wacky) but with a dismembered hand coming through the middle (disruptive and over-the-top). Okay, it’s possible I’m going too far with this example, but hopefully you get the idea. Is one of your core values creating human connection? Then send everyone a personalized note of thanks who buys an album. Or mystery? Then wear a mask on stage. This might sound like a ton of work — and it can be — but in my experience, it can also be incredibly valuable work in helping create a coherent story that you communicate throughout every touchpoint you have with your audience and fans, from the stage to the web and beyond. Not only will this exercise force you to confront tough questions, it will also push you to make sure you really know what you’re doing and why you’re doing it. And in the long run, we believe it will allow you to create a better connection with audiences and achieve your goals. If you want someone to work with you on this stuff and help you stay accountable, then sign up to work with a Soundfly Mentor and get help crafting your brand right away.